A cinnamon roll (also cinnamon bun, cinnamon swirl, cinnamon Danish, and cinnamon snail) is a sweet roll served commonly in Northern Europe and North America. 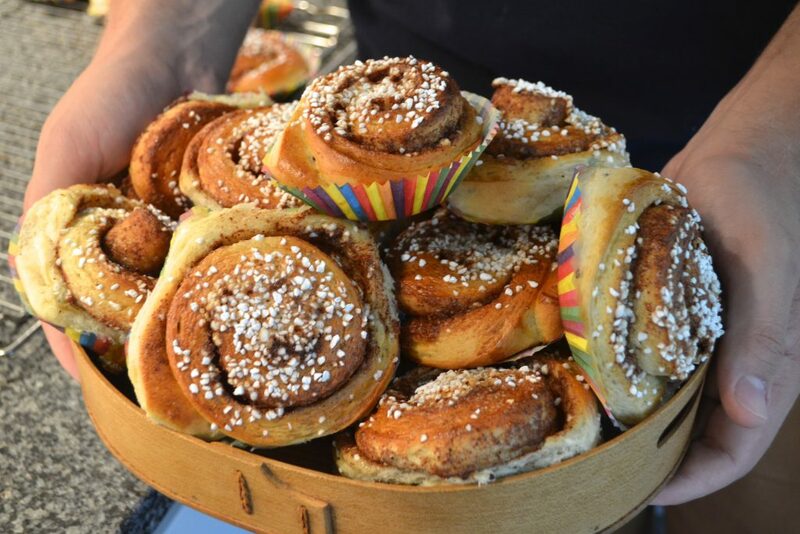 In Sweden, the country of its presumed origin, the cinnamon roll takes the name of kanelbulle . Since 2010, October 4 has been promoted as “kanelbullens dag” (Cinnamon Roll Day). Swedish kanelbulle dough typically also contains cardamom (powder or buds), giving it a distinctive flavour. 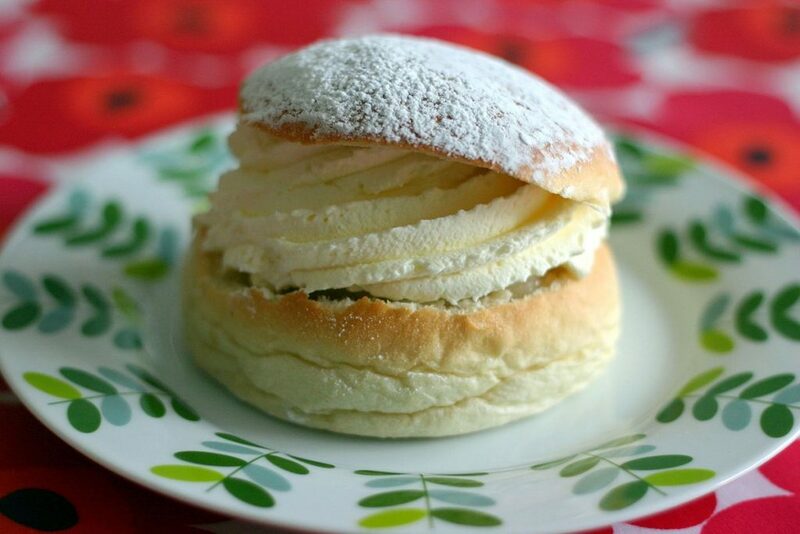 A semla (most common name in Sweden) or fastlagsbulle (Southern Sweden and Swedish speaking Finland) is a traditional sweet roll made in various forms. Filmjölk also known as fil, is a traditional fermented milk product from Sweden, and a common dairy product within the Nordic countries. 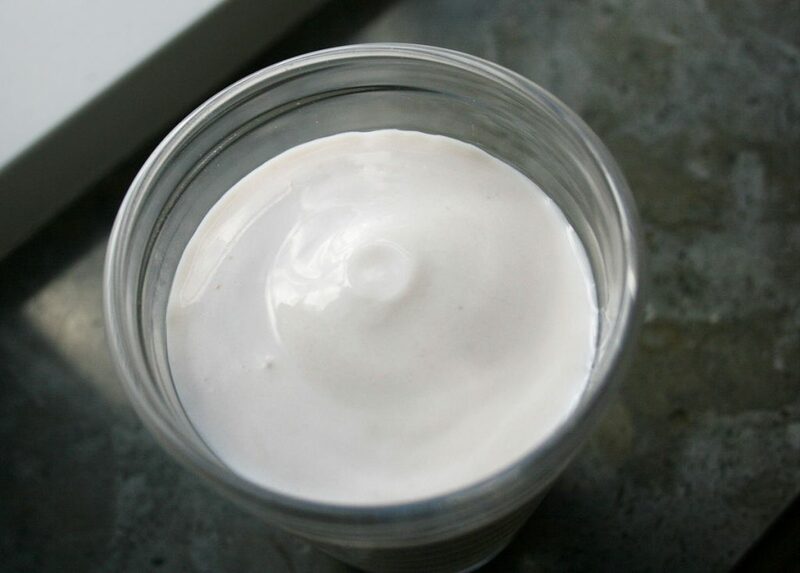 It is made by fermenting cow’s milk with a variety of bacteria from the species Lactococcus lactis and Leuconostoc mesenteroides. The bacteria metabolize lactose, the sugar naturally found in milk, into lactic acid which means people who are lactose intolerant can tolerate it better than other dairy products. The acid gives filmjölk a sour taste and causes proteins in the milk, mainly casein, to coagulate, thus thickening the final product. The bacteria also produce a limited amount of diacetyl, a compound with a buttery flavor, which gives filmjölk its characteristic taste. 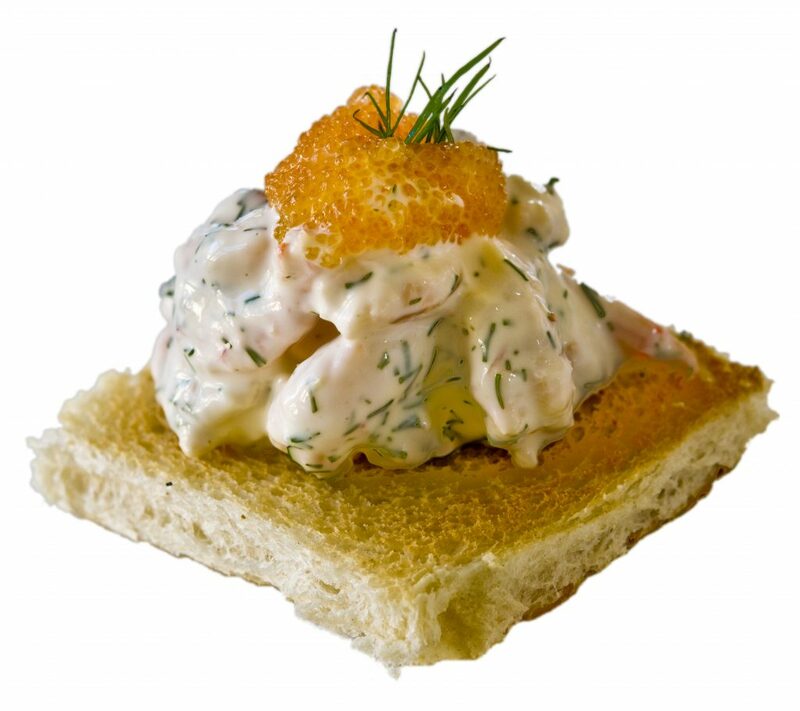 Toast Skagen is an elegant combination of prawns and other ingredients on a small piece of sautéed bread. 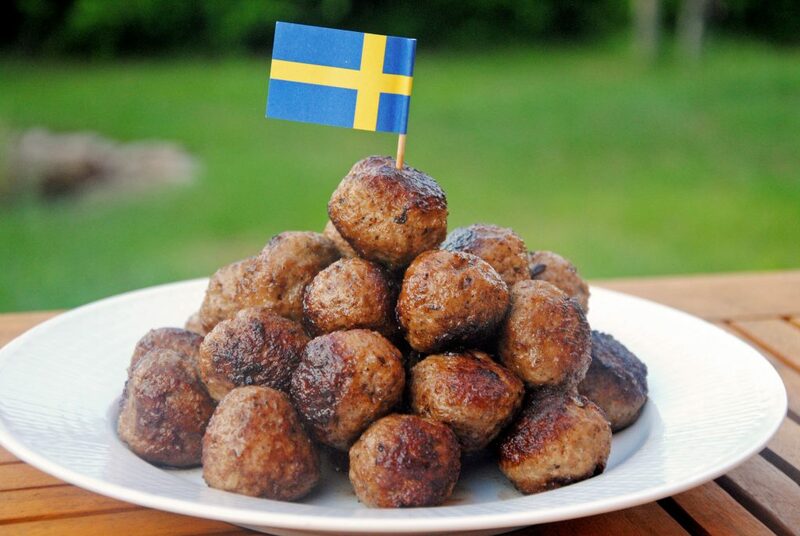 Smörgåstårta is a dish of Swedish origin popular in Sweden, Estonia, Finland and Iceland. 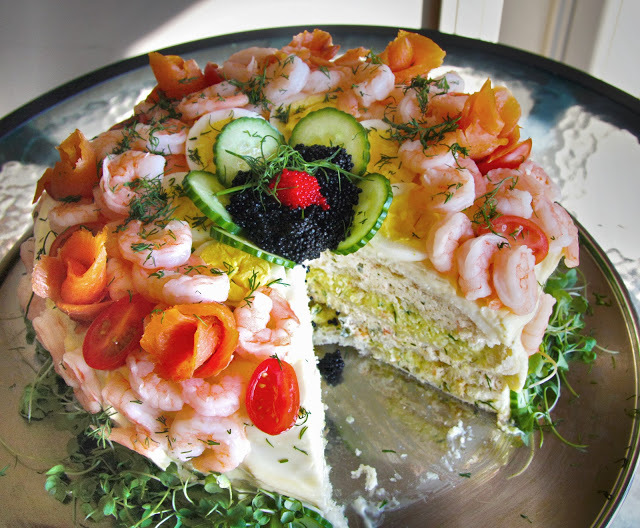 It is a savoury cake that is similar to a sandwich, but with large amounts of filling and garnish, similar to a layered cream cake. 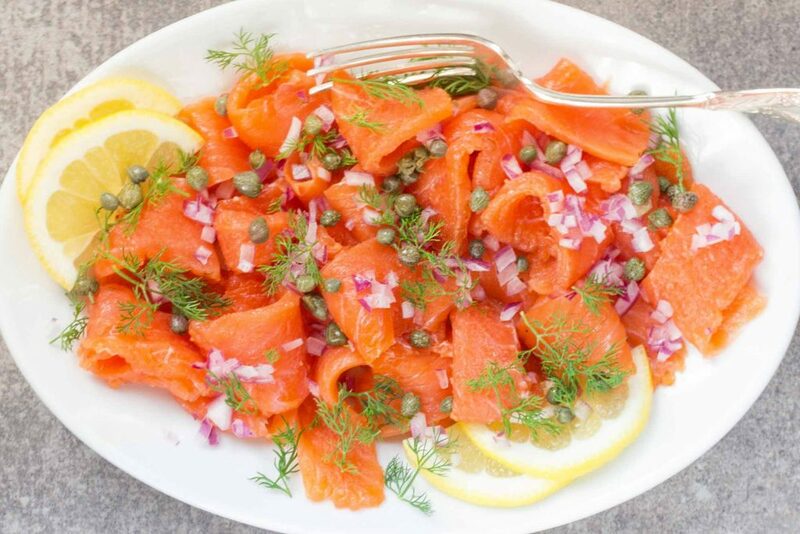 Gravlax is a Swedish dish consisting of raw salmon, cured in salt, sugar, and dill. Gravlax is usually served as an appetizer, sliced thinly and accompanied by hovmästarsås (literally maitre d’s sauce, also known in Sweden as gravlaxsås and in Denmark as rævesovs, literally fox sauce), a dill and mustard sauce, either on bread, or with boiled potatoes. 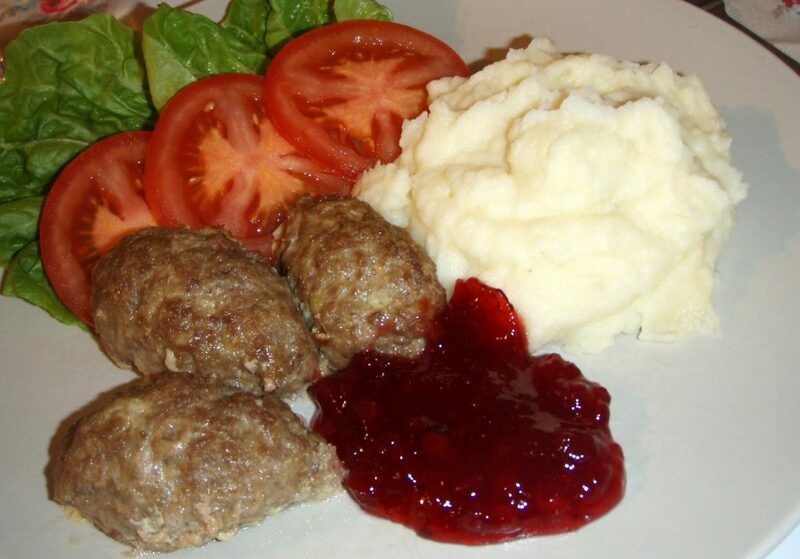 Pyttipanna is one of Sweden’s most popular every-day dishes. Serve it with fried eggs, pickled beetroot and rye bread, in the traditional way. 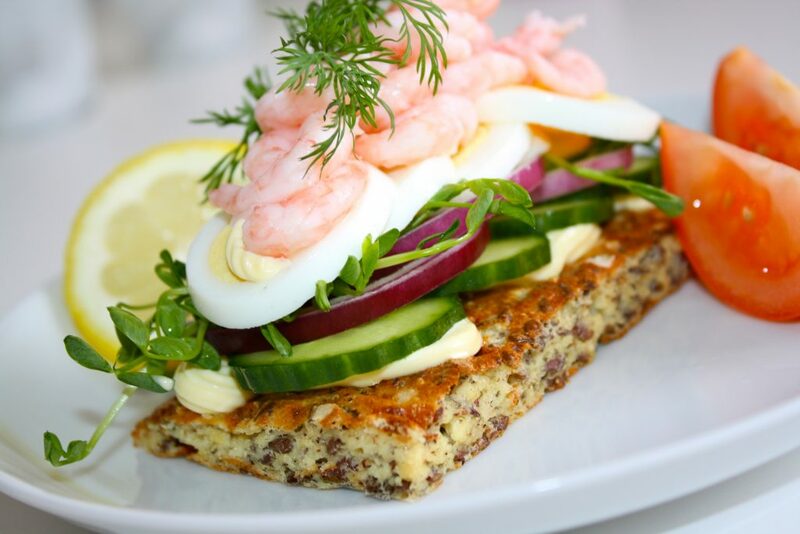 Smørrebrød usually consists of a piece of buttered rye bread (rugbrød), a dense, dark brown bread. 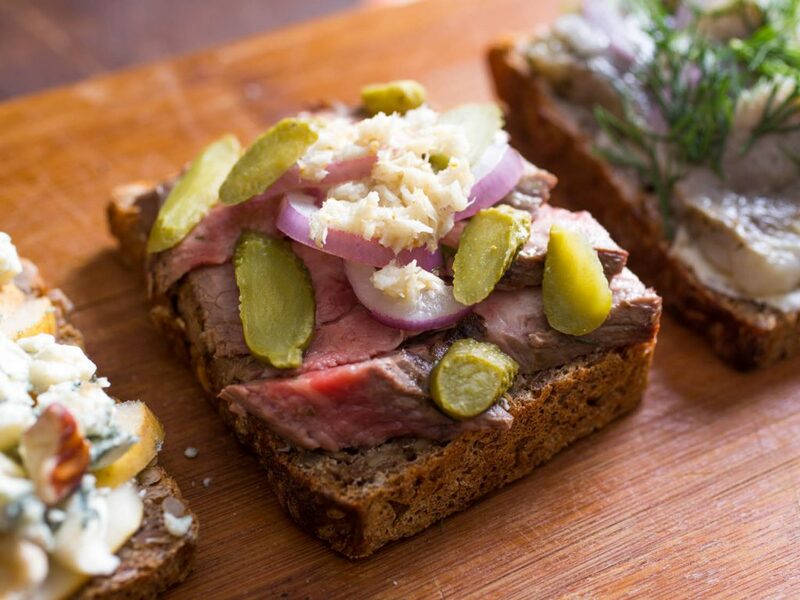 Pålæg (literally “on-lay”), the topping, that among others can refer to commercial or homemade cold cuts, pieces of meat or fish, cheese or spreads. 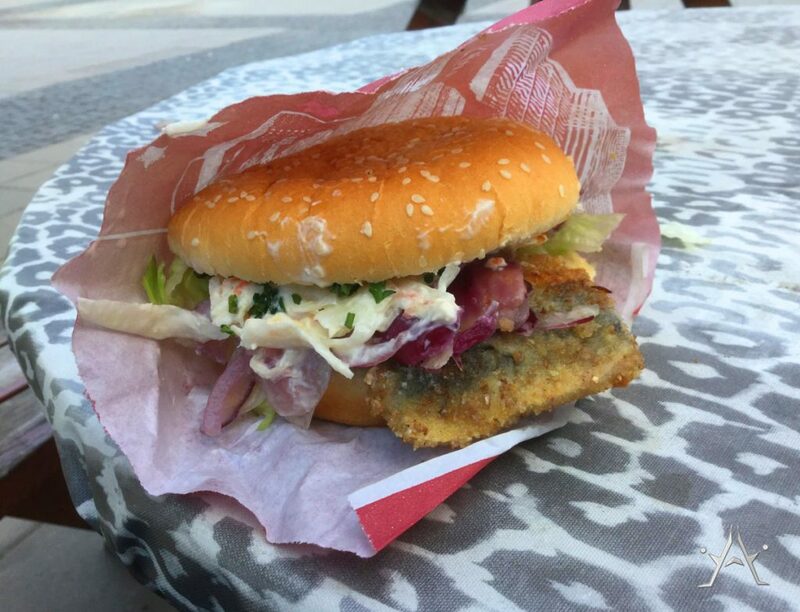 You have to try swedish version of hamburgers with herring and mustard dressing. 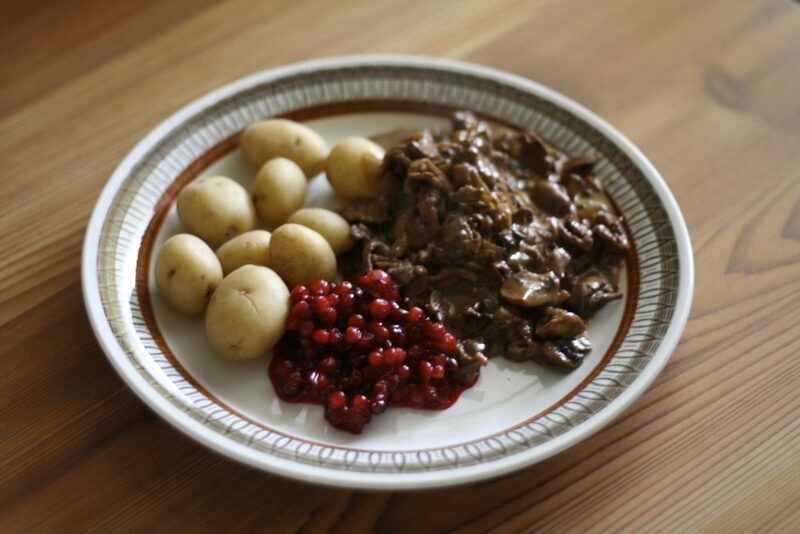 Renskav comprises dried or frozen reindeer meat which is finely sliced then fried. 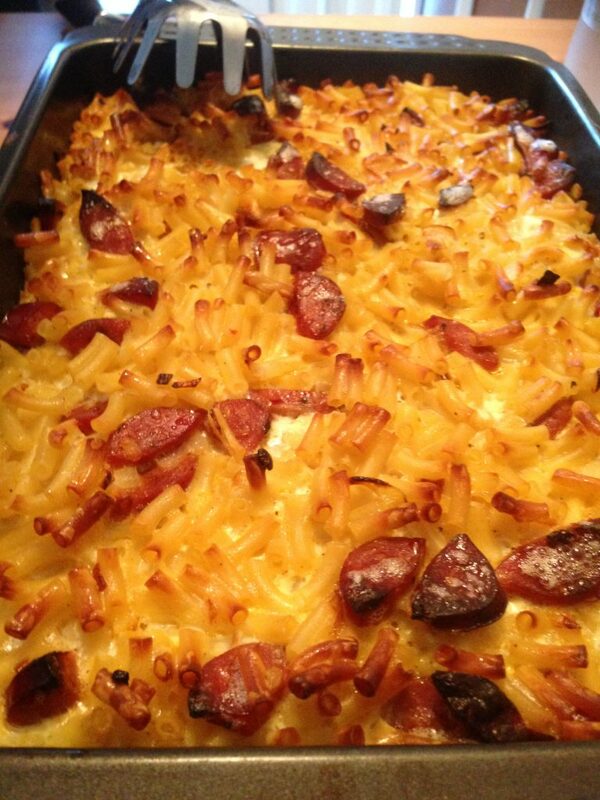 It’s commonly eaten with potatoes or mashed potatoes. 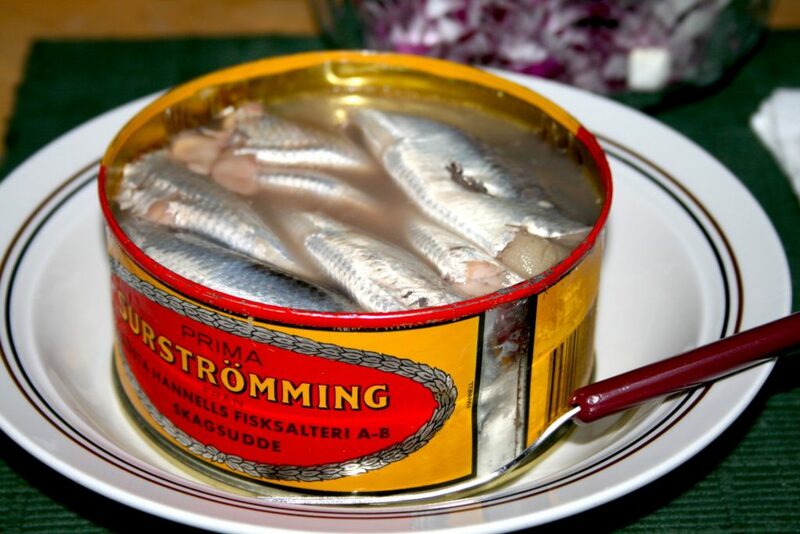 Skärgårdssill is herring served in a sour cream sauce with roe . 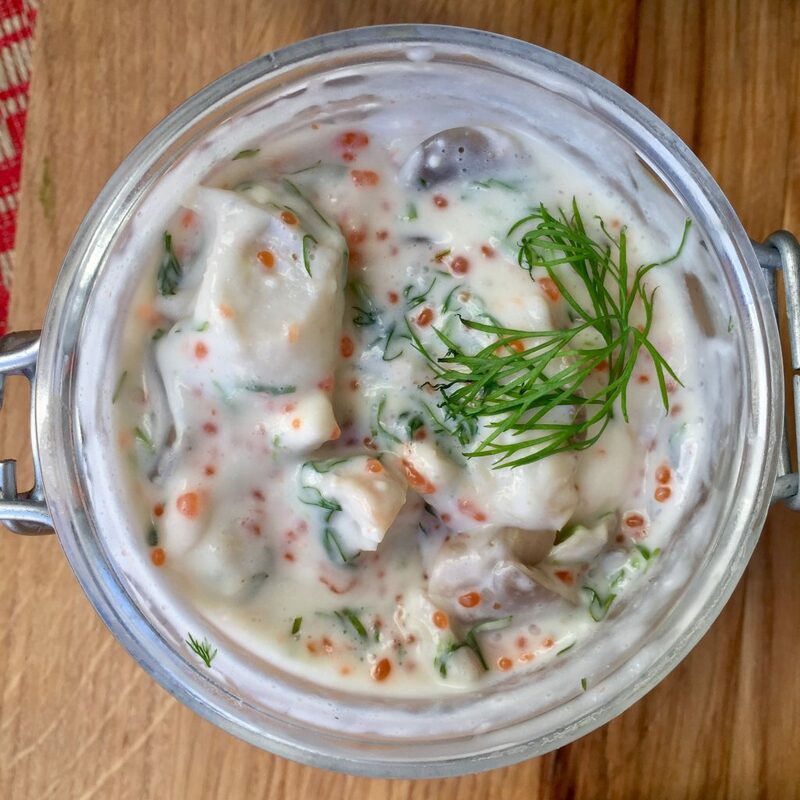 Dillströmming is pickled fresh, Baltic herring in dill mayonnaise. 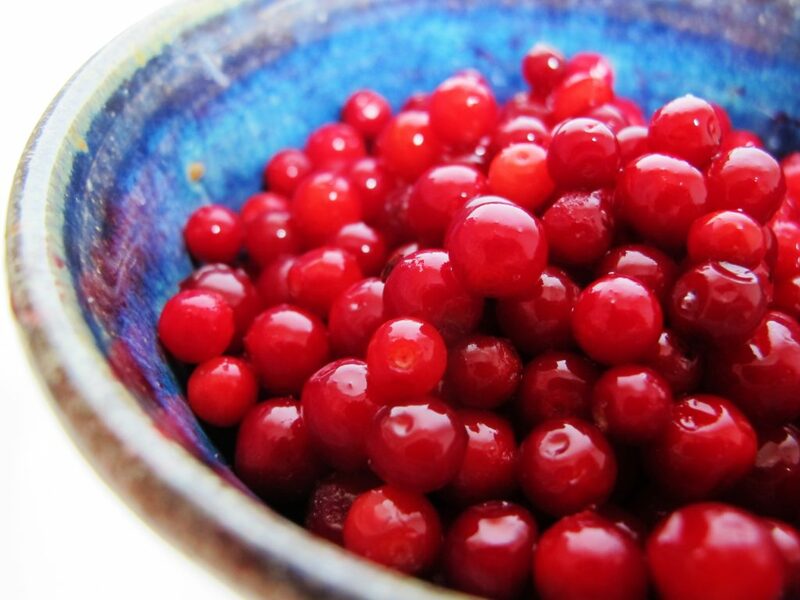 Lingonberries are widely used in Swedish food. 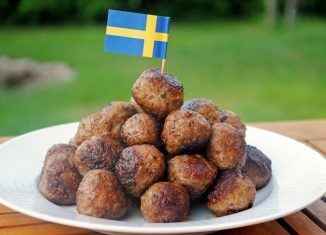 They are considered to be an essential accompaniment to many Swedish dishes, most notably köttbullar (meatballs), kåldomar (stuffed cabbage rolls) and raggmunk (potato pancakes). 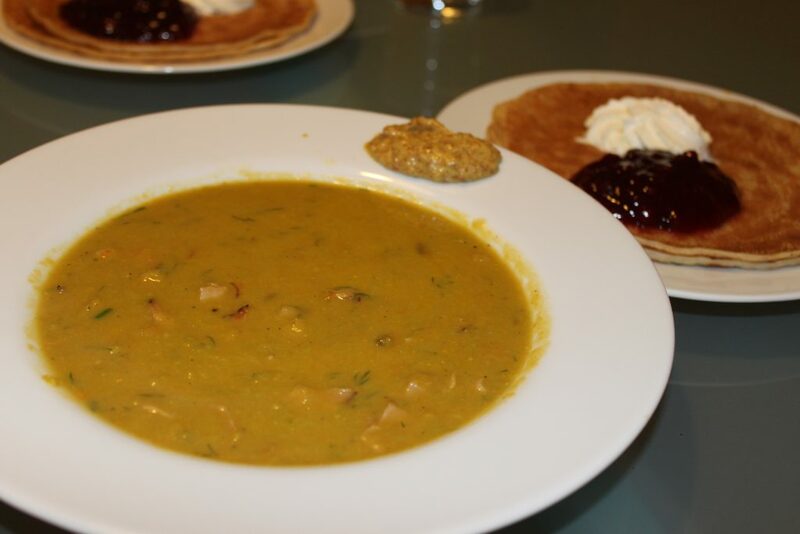 Thursday pea soup and pancakes is an institution across Scandinavia, originally intended to be a hearty meal leading into a traditional fasting day on a Friday. Even though fasting is far less common now, the pea soup and pancakes still remain. This vegetarian version takes the classic dish to a healthier place by leaving the pork out of the soup and using unbleached wholemeal flours and fresh berries to replace sweet jams in the pancakes. 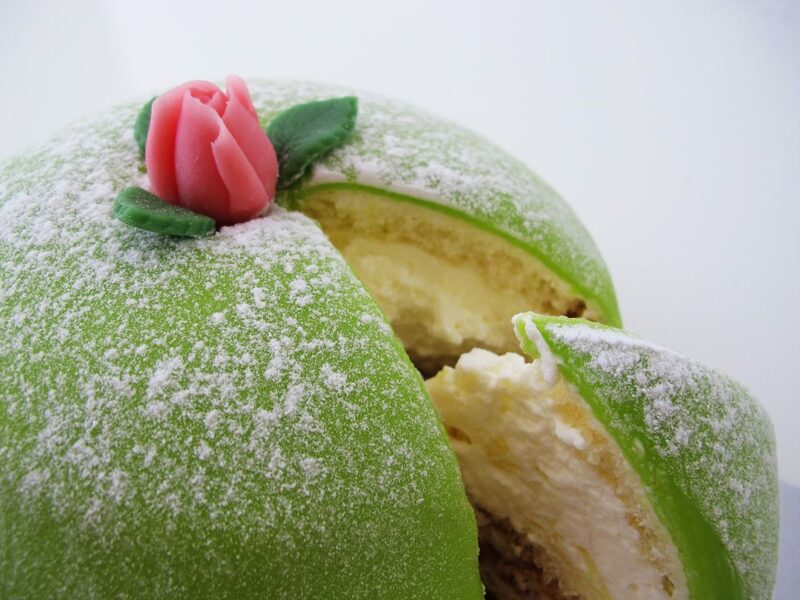 A princess cake (prinsesstårta in Swedish) is a traditional Swedish layer cake or torte consisting of alternating layers of airy sponge cake, pastry cream, and a thick-domed layer of whipped cream. This is topped by marzipan, giving the cake a smooth rounded top. The marzipan overlay is usually green, sprinkled with powdered sugar, and often decorated with a pink marzipan rose. 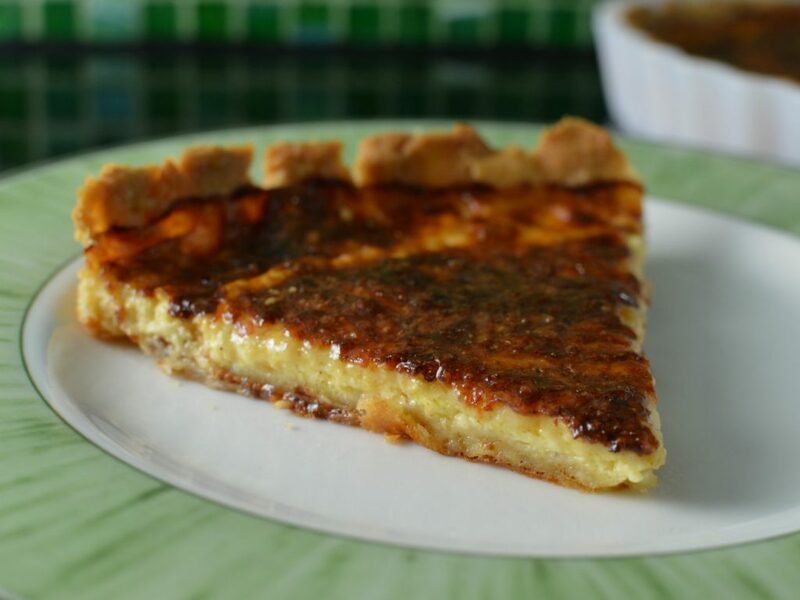 The Swedish Västerbotten cheese pie (Västerbottenpaj) is the most famous and traditional Swedish savoury pie. 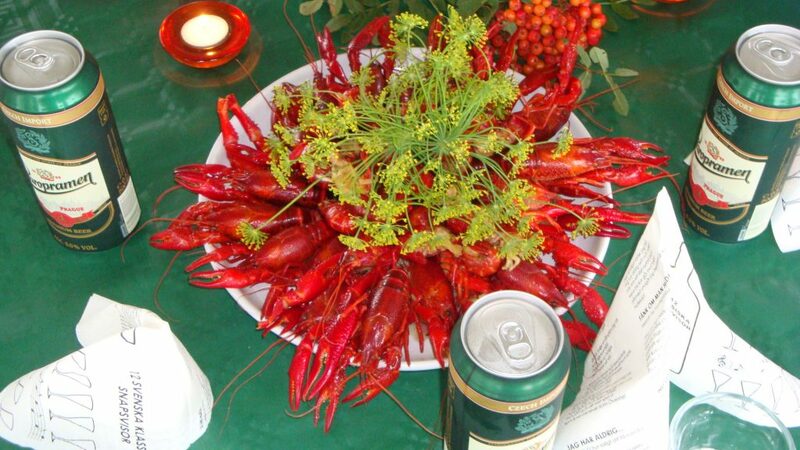 It is almost as mandatory to eat as the crayfish at the Swedish crayfish party (kräftskiva) in August but can be eaten all year around. 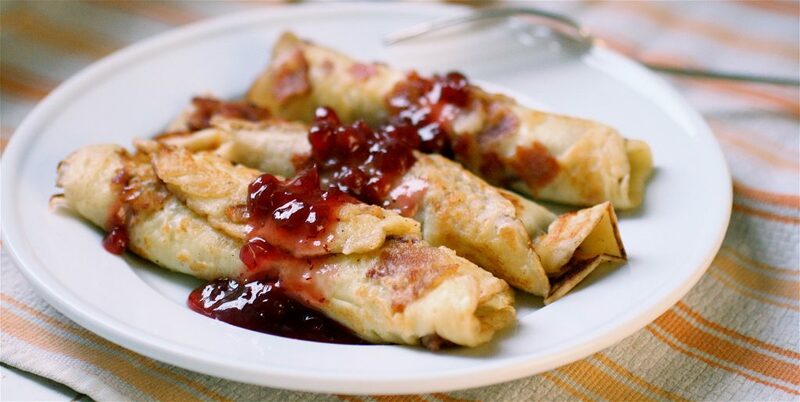 Smaller and thinner than their American counterparts, Swedish pancakes are quite tender and comparable in texture to French crepes. 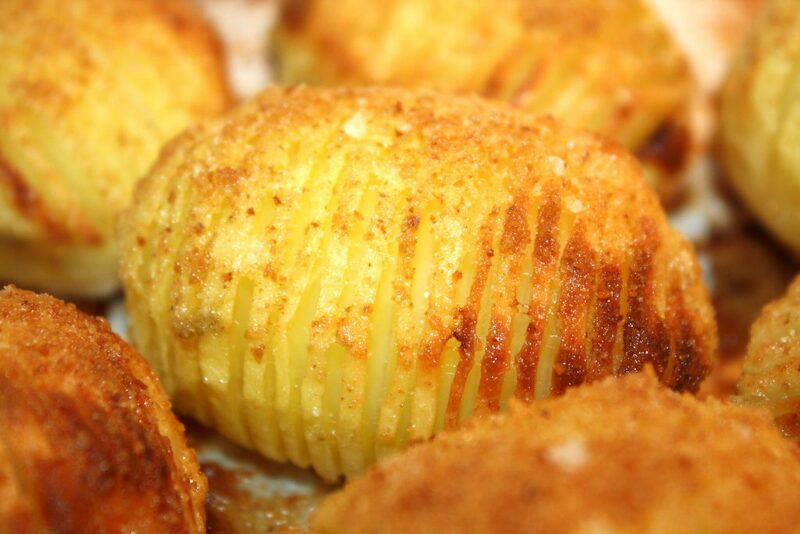 Hasselbackspotatis is the Swedish way of roasting potatoes. 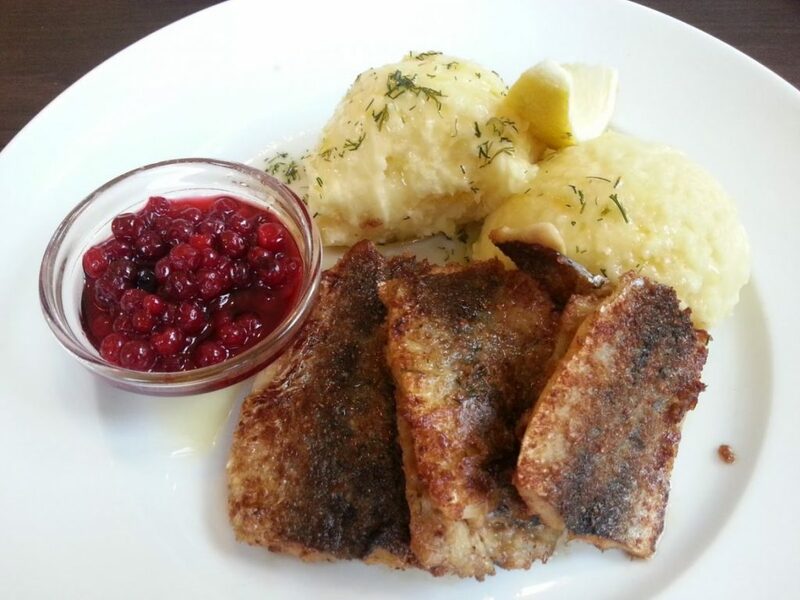 Its name comes from the Hasselbacken Restaurant, now attached to a hotel in central Stockholm. Stekt strömming med potatismos, persiljesmör och rårörda lingon. 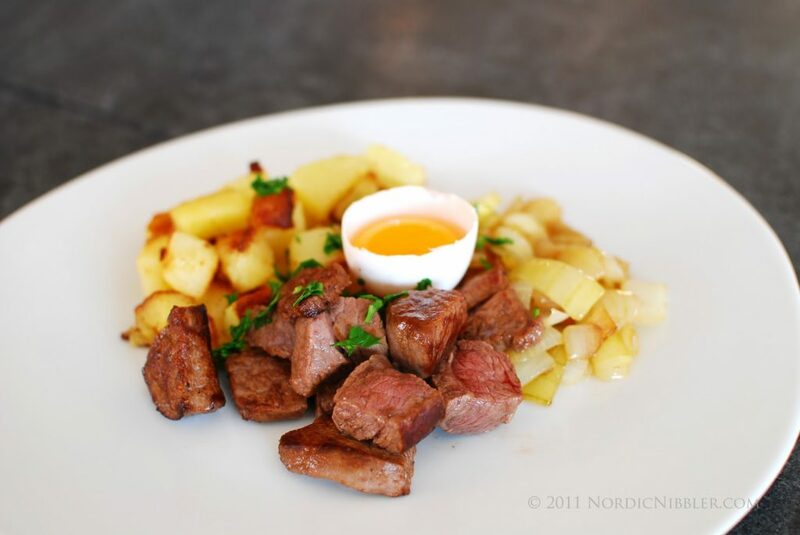 The Beef Rydberg, according to Aquavit, is a classic Swedish hangover cure, and we can see why: crisp potatoes and beef tenderloin with onion marmalade, horseradish and an egg yolk. 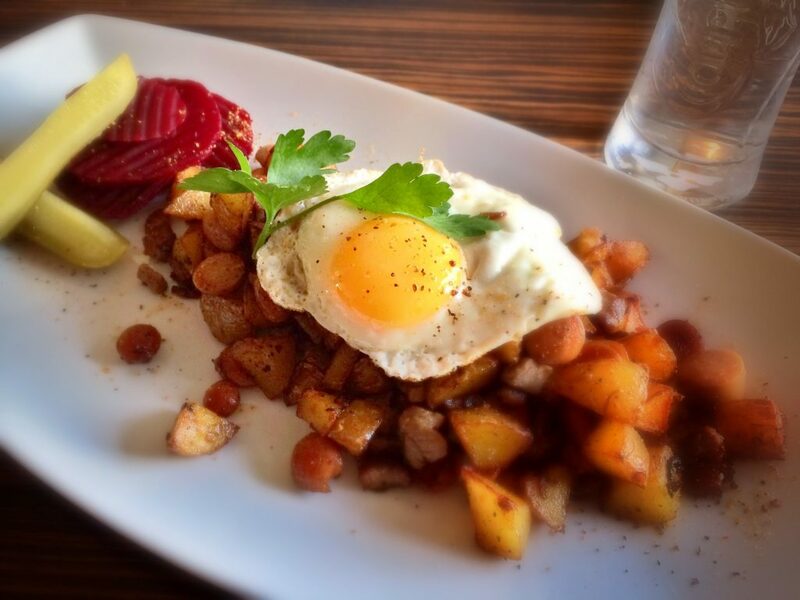 Meat, eggs and potatoes: the three basic brunch food groups. Poached salmon is a Midsummer classic. 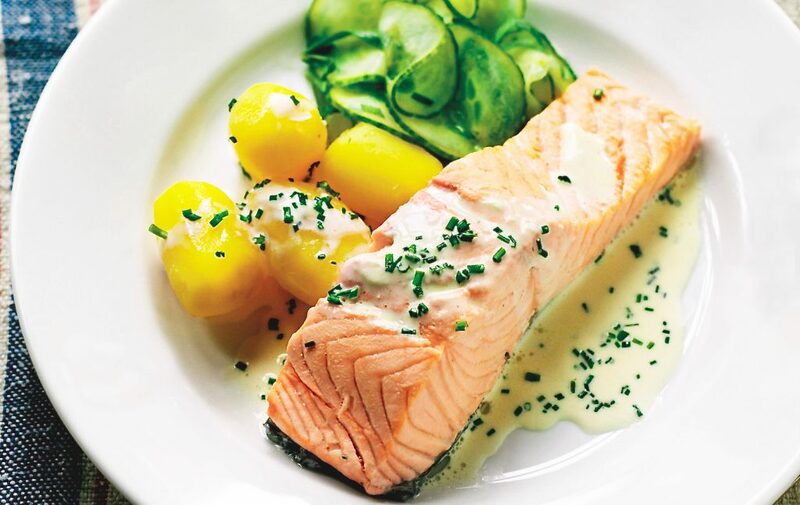 Swedes cook the salmon by pouring boiling marinade over the fish and letting it cool slowly until cold. 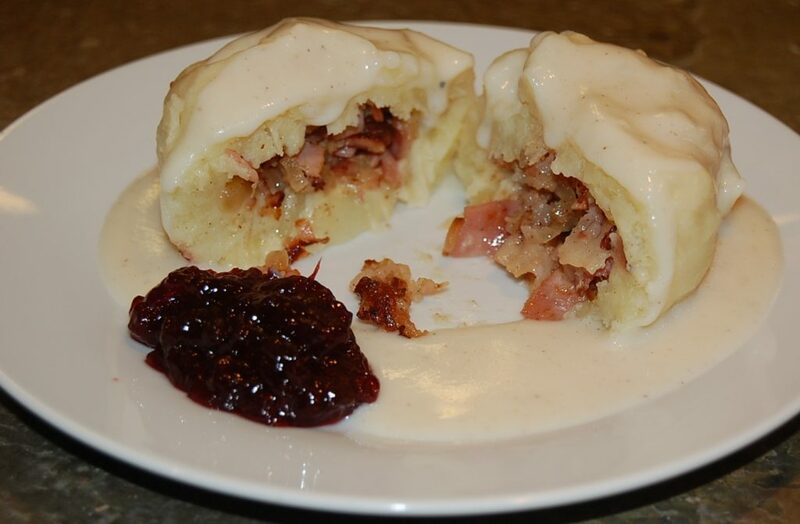 Traditional Swedish potato dumplings have a bit of cooked salt pork and onion inside. They’re a great way to use leftover mashed potatoes. 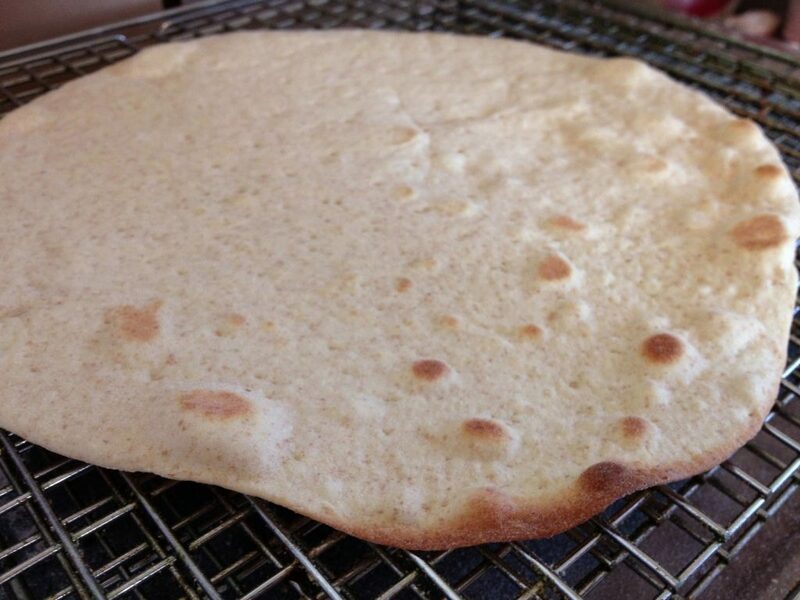 Tunnbröd is the Swedish version of flatbread and properly belongs to northern Swedish cuisine where housewives share a common bakery to produce it. Tunnbröd can be soft or crisp, and comes in many variants depending on choice of grain, leavening agent (or lack thereof) and rolling pin. The dough is made from any combination of wheat, barley and rye; the leavening agent can be both yeast and ammonium carbonate.